Health Tech Hatch is a resource dedicated to launching early-stage innovations in healthcare and putting them into the hands of patients, physicians, wellness professionals and consumers. It’s a platform both for crowd-funding and end-user feedback on concepts and prototypes in both the for-profit and not-for-profit worlds. Recently the Blue Button community and the Office of the National Coordinator for Health IT used Health Tech Hatch to ask patients and caregivers what sort of applications they needed to best manage their health and financial health data. Developers were challenged to build fully Blue Button + enabled applications inspired by the winning ideas and these apps should be ready to receive clinical data from Electronic Health Records. In the same spirit of innovation, they launched a “crowdvote” to determine which of these new apps should be crowned as winners of the challenge and receive $35,000 in prizes. 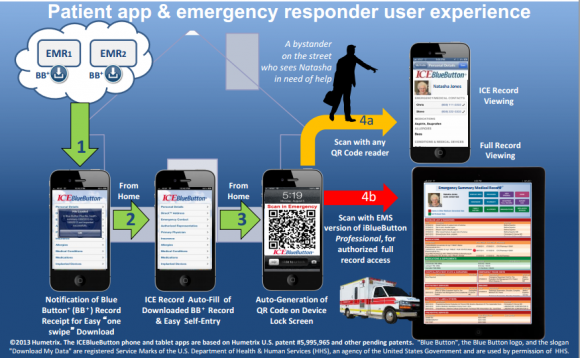 ICEBlueButton is a ICE (In Case of Emergency) mobile app that provides immediate access to an ICE record by either non-medical rescuers or emergency personnel using QR code scanning. The QR code is automatically generated by the app and stored on the lock-screen for emergency access to the ICE record. A few months ago, iMedicalApps did an article on the regular version of iBlueButton. 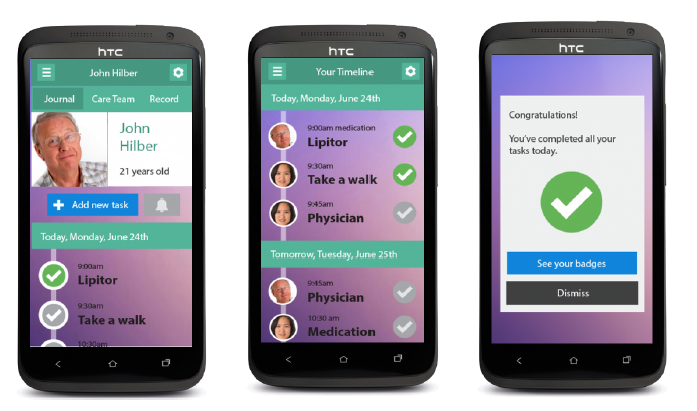 Hint Health’s CareTracker is a personal care tracking system with tasks such as taking medications or exercising. This app marries the simplicity and ease-of-use of a modern smartphone app with the data available from Blue Button+. 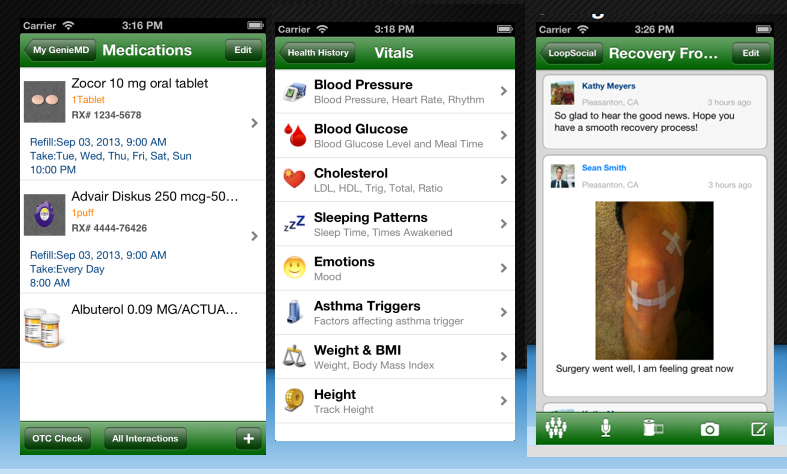 GenieMD is a mobile solution for individuals to be active participants in their healthcare. This application provides support for anyone looking for medical information in order to diagnose symptoms, find a nearby doctor, hospital or pharmacy. Be sure to check the rest of the apps and cast your vote before the August 21st deadline!